EUROMED milk thistle extract is a standardized herbal extract of Silybum marianum L. fruits, an annual Mediterranean plant belonging to Asteraceae. It can also be found in warm dry regions of central Europe as well as South America and South Australia. – Flavonolignans: Silymarin an isomer mixture of the flavonolignans silybin, silychristin and silydianin and other flavonolignans like isosilybin, isosilichristin, dehydrosilibin and dehydrosilichristin. – Flavonoids: apigenin, eriodictyol, chrysoeriol, 5,7-dihydroxychromone, dihydrokaempferol, isofraxidin, naringenin, quercetin and taxifolin. – Aliphatic oil: a high proportion of linoleum acid, oleic acid and palmitic acid as well as some other fatty acids together with tocopherol and sterols such as campesterol, cholesterol, sitosterol and stigmasterol. The extract of milk thistle is used in the treatment of toxic liver damage and is also recommended for supportive treatment of chronic inflammatory liver diseases and cirrhosis. The therapeutic effect is based on the stimulation of RNA polymerase I in liver cells, the stabilisation of liver cell membranes and its antioxydative properties. 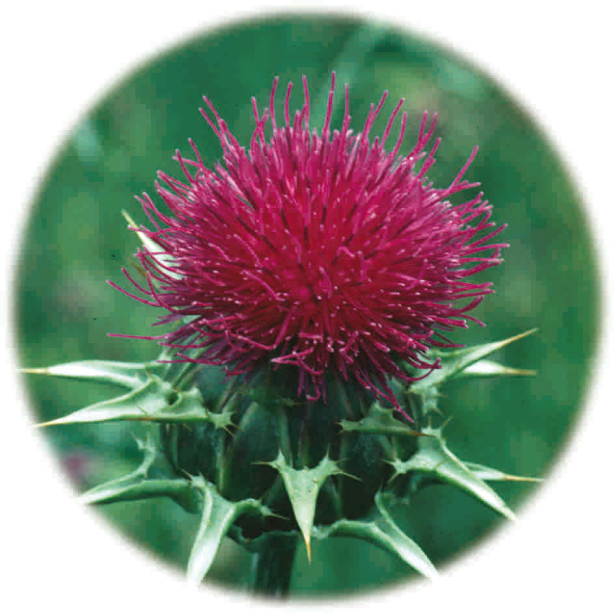 Milk thistle possesses the ability to regenerate liver cells that have been injured. Milk thistle extract is generally well tolerated. Side-effects are rare when the standardised extract is taken. There are no known interactions with drugs usually prescribed. 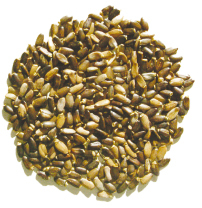 Milk thistle extract is notable of its particularly high level of clinical safety. It is almost devoid of any side-effects and may be used by a wide range of people. Since it does stimulate liver and gallbladder activity, it may have a mild, transient laxative effect in some individuals.